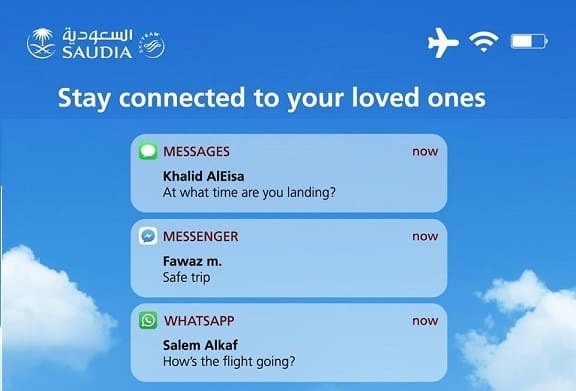 After the launch of free Whatsapp text message services on board earlier this year in Saudi Arabian Airlines flights, Now the airline has launched added a new and free texting service. - Similar service of Whatsapp text messages was launched by the Saudi Airlines in this year's May. - All you have to do is to connect your device and choose the service you want to use. Activate the free texting plan and enjoy chatting all the way.